First Time In Public Forums - Public Forum - SixtyGig - The Minecraft server for mature gamers. Hi guys, so this is my first post on the public forums and i have some questions. I want you guys to tell me about yourselves, what do you like to do in your free time, how long have you been in the server and whats your experience here, you know... that kind of stuff. Just so that we get to know each other. What do you say? I also have some other questions for the maps, does the wilderness ever reset or does it have any borders like the other one??? 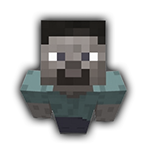 Steve, welcome to the forum, hope you can get into the server. I think I'm the newest member and the oldest. I'm a retired IT guy and a life long woodworker. I mostly work in my shop and play MC when I wake up early and when I get a chance during the day. Well nice to meet you! I'm a student in Athens Greece and i haven't found a job yet. I will graduate in some months and then i will have more time to do other things. Did you play any video games when you were younger ? How long have you been playing Minecraft? I think I started playing MC in 2011, and I haven't really played other video games (didn't exist when I was younger). I've been playing games since the first computers appeared, quickly realising immersive games did it for me. I'm ancient therefore and very grumpy. I've been here since April 2013, which makes me one of the longest serving "established" players. I'm probably not "seasoned" yet due to that unfortunate messy incident on the lawn with the rotating table and the melon. I think I have managed to erase all the photos but the collective memory remains. I'm semi-retired which means I don't have time for anything! Wilds gets reset when it gets tired and worked out Used to be reset monthly. Borders? I think so, never been to the edge! Following terrible exams I ran out of time for Sg and six months after that I haven't really been going on even though I have plenty of time, mainly because no one is ever awake when I am. Thank Jeb that flame bows do not lit fires is my answer to that, I rarely carry Flint & Steel any more now days as well. It should say New Zealand under my Username and picture that pops up when I post.